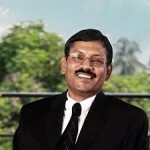 Vipul Parekh Co-Founded BigBasket.com along with Hari Menon, V.S Sudhakar, Vipul Parekh, V S Ramesh & Abhinay Choudhari. Vipul, Sudhakar and Hari had worked together before for almost 20 years. Ramesh had joined them to start their earlier venture Fabmart in the dialup days of the Internet. Fabmart was a horizontal ecommerce play and sold a variety of categories from books and music to jewellery and toys. As part of Fabmart they lalso aunched an online grocery category which met with great traction. When the dotcom bust happened in early 2000, the team decided to pivot their business from online to offline and setup Fabamall, a grocery supermarket business.They later merged with Trinethra and expanded to 400 stores throughout South India with more than 10,000 employees The business was acquired by the Aditya Birla Group and later renamed More..
Post the exit the four of them worked independently for almost three years before they got together again with the basic premise of working together and continuing to do something on their own. With their,past experience in scaling a retail grocery business and ecommerce, online grocery was a natural choice and thus BigBasket was born. 2 The Online Model would be more efficient and hence allow them to offer better quality of products at a better price than that available in offline grocery. These assumptions were validated early enough and continue to be true even today. Their understanding of grocery customers made them believe that grocery was a habit formation exercise unlike the purchase of lifestyle products. They assumed that consumers were bound to their local retailer/Sabjiwala and would continue to buy their groceries only from them and those habits would be hard to break. Hence they assumed that business adoption would be slow. Vipul says that they were surprised with the rapid adoption they experienced once they launched and had to scramble to build capacity to match the growing need. Therefore it put enormous pressure on them to build an organization that could scale up to match an exponentially growing demand. Vipul says that, after 3 years, the trend continues even today and they continue to play catch up with demand! 1 Large cities had a large migrant population and the consumers there were not bound by any habit or any pattern as they were just starting their life in the new city. 2 The number of women joining the workforce was rapidly increasing and the ability to devote time to tasks that they were spending on earlier was reduced. Hence they began buying grocery like they were buying apparels- online. 3 Customers were rapidly adopting organised grocery retail and were moving away from neighborhood shops and kiranas, they were already changing habits and buying online was a natural extension for them since it offered better choice and higher convenience. Access to a quality supermarket with decent range was not there even in the best of cities in all locations. This itself prompted people to buy online where the choice offered could be significantly higher than their local store. Today BigBasket carries1.5 to 2 times the selection of products available at most physical stores. They realized in retrospect that if they had done a formal customer demand validation they may have gauged the extent of the latent demand. After the launch, the customers saw something new, tried it, liked it very much and immediately adopted it. However, they do a lot of surveys and collect feedback on improving service parameters by asking customers what they liked or what can be done better in terms like delivery, quality & range of products etc. and that feedback has helped them to fine tune their product and service. Vipul says that they focussed less on the front end and more on the backend technology and process platform initially. This was service delivery and the big challenges were carrying a large inventory of perishable goods with delivery on the same day. The customers were also new to this way of buying groceries and hence the first experience had to be the best experience for them to continue buying from BigBasket. So, the team spent all their efforts in building the technology platform to manage inventory, manage the supply and logistics chain and processes to ensure great incoming quality of products. Today BigBasket uses algorithms that determine inventory replenishment, algorithms that determine route mapping and van allocation and algoritms that manage online capacity. The team from day one did not want to differentiate themselves by giving discounts but wanted to differentiate in terms of their products, delivery and customer support. Based on this premise they built confidence in customers by offering SLA based deliveries. 3 A No Questions Asked Return on any product. They were one of the first few in online groceries in 2011. The demand increased because of their consistent service delivery. Vipul says that they did not do any marketing for the first 18 months and even today more than 50% to 60% of the customers come in by Word Of Mouth. The team wanted a strong product that should deliver all parts of a customers need need like quality, on-time and pricing and getting all these pieces together was not easy. Unlike other companies that focussed on front end UI and customer incentives, the team realized that marketing should understand and deliver what customers want. The customer expectations are high because they are buying two to three times a month (36 times a year) and they have to be highly consistent in their processes to be able to deliver on customer expectations each time. .The most important thing they did was training the people who went into the customers house to deliver. Vipul says that unlike other deliveries, their people walk into the customers kitchen and place the groceries in the fridge, shelves and in pantries. Training that was given ranged from how to handle oneself, the bearing one should have, the ability to field and answer customer questions and the process to be adopted while making the delivery. This training improved the custoemr experience and hence the brand perception. This was then backed with strong customer service. The customer support team ensured that every customer got a response within a defined time and monitored this very well. For BigBasket Vipul says our belief was that our UI was the the company delivery person and customer service and we needed them to represent the best face of the company. Vipul says that they also branded all their delivery vans. The consumers saw the good looking vans and that motivated them to try buying groceries and they then got addicted to it because of service delivery. They also did a bit of Digital Marketing focussing on SEO & SEM as a way to get inbound customers. Vipul says that going into apartments and promoting BigBasket did not work for them as to reach any kind of scale they had to target multiple apartments which turned about to be expensive but did not yield great results and hence they gave that up. Vipul recollects that they started buying groceries from other stores and delivered to customers intially since their scale was small. In-spite of the demand increasing, they still continued to work in the same model. It took them close to 1.5 years before they moved to their own inventory. Vipul says that they should have done this much earlier which would have increased their understanding about their customers and would have increased customer satisfaction. He says that they did not read the early signs well and gradually increased their warehouse capacities from 8000 SqFt to 20k SqFt to 60k SqFt and finally a 100k SqFt in two years which could have been have done earlier. They also stayed in three cities and added new cities only after two year swhich could have been done much earlier. They have 2,000 employees working full time in 7 locations, They have Half a Million customers today, They do more than 20,000 orders a day and have raised 3 rounds of funding to date.